We have received 46 reviews of The Extraordinary Colours of Auden Dare . You can add a review or scroll down to read reviews. To send in your review of The Extraordinary Colours of Auden Dare , please fill in the info below and click the button labelled Send Review Now. Reviews will be checked by our team before they appear on the website. Your last name will not appear on the site, but we need to know who you are in case you win a prize! 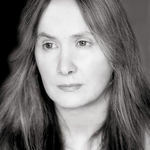 Zillah Bethell is an author of both adults and children’s books. She was born in Papua New Guinea and spent her childhood playing barefoot in the jungle. She owned her first pair of shoes when she was eight after moving to the UK. She lived with her grandmother who had a small antique shop. She studied French and English Literature at Oxford University. She now lives in Wales with her husband, two children and lots of rescue animals. Auden Dare has an unusual perspective on life: he cannot see in colour. He's always had this rare condition - and life is beginning to get harder for Auden. The war for water that is raging across the world is getting a little closer all the time. It hardly rains any more, anywhere. Everyone is thirsty all the time, and grubby and exhausted. Auden has to learn to live without his father, who is away fighting and has had to move to a new town with his mother, and start a new school, where everyone thinks he's a weirdo. But when he meets Vivi Rookmini, a smiling girl bright with cleverness, his hopes begin to lift. The Extraordinary Colours of Auden Dare is Zillah Bethell’s second children’s novel. She has also written three adult novels. As a child she enjoyed reading the Malory Towers books by Enid Blyton. Her favourite storybook characters were George from The Famous Five and Velvet Brown from National Velvet. Her favourite book of all time is 1984 by George Orwell. She likes the sea, mint choc chip ice-cream, horses and music. You can read a Q and A with Bethell here. I really enjoyed this book and thought it was very well written. The characters fit really well in the plot. I would definitely recommend this book to a friend. Poppy gave The Extraordinary Colours of Auden Dare 4 out of 5 and now plans to read Girls Can't Hit by T S Easton. Great book, with a very unpredictable ending! I thought I lnew where the story was going, but I was completely wrong. Naomi gave The Extraordinary Colours of Auden Dare 4 out of 5 and now plans to read Girls Can't Hit by T S Easton. this book was so fun to read. The characters were so realistic and relevant. my favorite character has to be Paragon, who reminds me of C3-PO from 'Star Wars'. Their mannerisms, knowledge, movements and voice are almost the same. In short, this book really is a 'paragon', perfect. marlie gave The Extraordinary Colours of Auden Dare 5 out of 5 and now plans to read Ink by Alice Broadway. 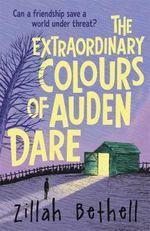 The Extraordinary Colours of Auden Dare is a interesting book about a boy who can't see colour. In my opinion the writer did a great job of describing things without colour however the story seemed a little slow at times. I really enjoyed the dystopian near future the book is set in and how it could almost be our own mirrored future. William gave The Extraordinary Colours of Auden Dare 4 out of 5 and now plans to read Dragon's Green by Scarlett Thomas. I loved The Extraordinary Colours of Auden Dare because it was unlike other books I've read. I tried to picture what life would be like if you could only see in black and white and it wasn't very easy. I really liked how even though it was a hurdle that he had to overcome, Auden was very creative in ways to approach and get round it. Sam gave The Extraordinary Colours of Auden Dare 5 out of 5 and now plans to read Dragon's Green by Scarlett Thomas. I loved this book immensely, and my favourite character was paragon by far! Jacob gave The Extraordinary Colours of Auden Dare 5 out of 5 and now plans to read Ink by Alice Broadway. I found The colours of Auden Dare really interesting because of the depth of imagination and the reality of Auden's condition. I thought it was brilliant that the author made a great story whilst making us aware of the condition that Auden has. I especially enjoyed how things worked out in the end despite seeming almost impossible. I hope the author continues to write more imaginative and intriguing stories in the near future. Charlie gave The Extraordinary Colours of Auden Dare 5 out of 5 and now plans to read I Have No Secrets by Penny Joelson. Auden Dare is an extraordinary book with a great plot and amazing fleshed characters. it follows the story of a child named Auden who is normal in every aspect but one, he is unable to see color.The book sees him and his mom go to a completely new town as a war over water has come to the world. in this new town Auden finds strange things new friends and enemies. it is a great book and I never found myself bored while reading it. Oren gave The Extraordinary Colours of Auden Dare 5 out of 5 and now plans to read Welcome to Nowhere by Elizabeth Laird. It was great,I loved how it was set out and how it started with a cliffhanger. I also really liked the twist with how their money worked. It was a bit confusing to start with but,I got it eventually. It was a really good book and it kept me hooked throughout the whole story. I would rate this book 4/5 stars as it was emotional but also exciting. I would recommend this book to anyone that loves reading books about other people. Charlotte gave The Extraordinary Colours of Auden Dare 4 out of 5 and now plans to read I Have No Secrets by Penny Joelson. Anna gave The Extraordinary Colours of Auden Dare 5 out of 5 and now plans to read I Have No Secrets by Penny Joelson. Auden Dare appears to be an ordinary 11 year old boy, right? Wrong. Auden can`t see colour, he`s not colour blind he just can`t see it. Auden`s uncle dies so he moves into his old house, but with that house comes a secret a secret that could potentially put him and his best friend Vivi in danger. This book is incredible and offers life at a different perspective. I was hooked from the 1st page and it is such an easy storyline to track. The mystery aspect is amazing and plot twists are well placed. The reader doesn`t know what`s coming. I felt all the emotions and love it. Helen gave The Extraordinary Colours of Auden Dare 4 out of 5 and now plans to read Ink by Alice Broadway. I felt this book gave me a different perspective on how some people see the world. The fact that Auden (the main character) had an inability to see colour made the book more interseting as the author had to find different ways to decribe things. However I do think that in places this book was slow and at times hard to understand. To conclude I would recommend this book to everyone. James gave The Extraordinary Colours of Auden Dare 4 out of 5 and now plans to read Dragon's Green by Scarlett Thomas. Auden Dare is an unusual book with an unordinary storyline. Although I found this an easy read, it was a slow start that I wish was a little shorter. The author explains every character thoroughly so I could easily picture them and gather feelings towards them (especially Paragon). At some points I found this book hard to follow however the ending was well planned and totally unexpected. The ending moved me to tears. Maddie gave The Extraordinary Colours of Auden Dare 3 out of 5 and now plans to read Dragon's Green by Scarlett Thomas. It wasn't what I was expecting but I liked the twist. The author explained Auden's condition very well and I think that his personality suits his character. As much as I enjoyed this story, it took me a while to get into it. Personally, I thought it could do with a little bit more adventure at the beginning, as well as at the end. Ellie gave The Extraordinary Colours of Auden Dare 4 out of 5 and now plans to read Girls Can't Hit by T S Easton. 1. Here's 5 things about this book. 2. The important things where unimportant. 3. This book should be terrible, it isn't. 4. The ending is everything. 5. This book is recommended by me. oliver gave The Extraordinary Colours of Auden Dare 5 out of 5 and now plans to read Welcome to Nowhere by Elizabeth Laird. I really enjoyed the concept of the book, however, I do think that it could have been portrayed a little better. Up to part six, I felt that the story was slow and only a few interesting events occurred. I also thought that ts was a bit fragmented and I could not piece together what was going on at that moment. Fortunately, part seven contained a lot more excitement, had a faster pace and expressed more emotion which i thought was needed throughout the rest of the book. Alasdair gave The Extraordinary Colours of Auden Dare 3 out of 5 and now plans to read Girls Can't Hit by T S Easton. I thought that this book was interesting, and I really liked most of the characters. However, some things could have been explained more, and the author left a little too much to the imagination. Brianna gave The Extraordinary Colours of Auden Dare 3 out of 5 and now plans to read Welcome to Nowhere by Elizabeth Laird. I really enjoyed Auden's sarcasm and personality, and the crazy things he gets up to. I think this book is really unexpected, thrilling and well put together.It presents new ideas and it's so hard to put down because of the constant suspense and questions that need answers. One of my favourite so far. Tara gave The Extraordinary Colours of Auden Dare 5 out of 5 and now plans to read Welcome to Nowhere by Elizabeth Laird. I really enjoyed reading this book because it was engaging and emotional. i gave this book a 5 out of 5 because Auden, Vivi and Paragon all have really strong characters who all care about each other. My favourite part was when I found out about what Paragon could do and when they discovered him for the first time. I don't think there is any room for improvement in this book and the introduction is quite good. My favourite character was Paragon as he had human characteristics and was a very touching character. I would recommend this book to people that like adventure and mystery. Harneeka gave The Extraordinary Colours of Auden Dare 5 out of 5 and now plans to read I Have No Secrets by Penny Joelson. I really enjoyed reading this book because it was very mysterious at times. I didnâ€™t really like the start of it but as it kept progressing, I began to engage. My favourite character was Paragon because he was very brave and he encouraged Auden to do things. A star rating that I would give it is 6/5. I would recommend this to people who like a good mystery and a lot of fun. Jasmin gave The Extraordinary Colours of Auden Dare 5 out of 5 and now plans to read I Have No Secrets by Penny Joelson. Natasha gave The Extraordinary Colours of Auden Dare 5 out of 5 and now plans to read Dragon's Green by Scarlett Thomas. I think that the author did an amazing job of describing things in the book, especially without the use of any colour. It has a great story and an amazing ending, with believable characters that have realistic personalities. One of my favourite books so far. Jem gave The Extraordinary Colours of Auden Dare 4 out of 5 and now plans to read Dragon's Green by Scarlett Thomas. This is a amazing book with a great storyline and the concept of a boy with a inability to see colour is very interesting. The story often overlooks Auden's disability and some of the characters seem to have no real importance. Bob gave The Extraordinary Colours of Auden Dare 4 out of 5 and now plans to read Girls Can't Hit by T S Easton. I think this book is an interesting concept that is carried out almost flawlessly, the idea of a boy that can only see black and white is inspired. The futuristic setting is not outright said but you can tell which is a brilliant idea that is amazingly carried out. My only complaint is that sometimes the story overlooks Auden's disability and I found myself forgetting about it. Alfie gave The Extraordinary Colours of Auden Dare 4 out of 5 and now plans to read Dragon's Green by Scarlett Thomas. The book 'The Extraordinary Colours of Auden Dare' is a great book because it's not hard to read while other books can be, a book that is hard to read loses its captivating touch. I love many things in this book that if i were to put them all into the review i would be typing away for at least 2 hours! One of the things I love in this book is how it clearly illustrates another persons life and how having a certain condition such as Achromatopsia can be a Disadvantage, being unable to see colour, but be a benefit like being able to see clearer in the dark. Another thing that is great is the friendship between Auden and Vivi, don't forget Paragon, despite having many differences they are still best friends and adding in a robot that can develop human emotions and character is truly amazing, one of the best things I believe about this book is that it has a believable Plot. Anna gave The Extraordinary Colours of Auden Dare 4 out of 5 and now plans to read I Have No Secrets by Penny Joelson. The book was about a boy (Auden dare) who lost his uncle and was trying to find out the reason . The book was spectacular and really fun and interesting to read . Hifza gave The Extraordinary Colours of Auden Dare 4 out of 5 and now plans to read Ink by Alice Broadway. Auden Dare is an amazing book which will entice you with its world and characters. At times the characters can be kind of bland and unlikeable but that is overridden by a character I can't explain because it would be a massive spoiler. The elements of mystery also add to the experience as the characters can often solve elaborate puzzles and give interesting explanations. All of these elements join together to create what is truly one of the greatest books I have ever read and I think others will too. JAKE gave The Extraordinary Colours of Auden Dare 5 out of 5 and now plans to read Welcome to Nowhere by Elizabeth Laird. This book has a wonderful story and had a lovely sweet ending. I would highly recommend this book. Harrison gave The Extraordinary Colours of Auden Dare 5 out of 5 and now plans to read Ink by Alice Broadway. The Extraordinary Colours of Auden Dare is an amazing book about a boy who can't see colour. When Auden and his mother move into his decease uncles house he uncovers a secret which could save the world under threat. I do recommend this book, I really liked the concept of the story. The story's plot was not similar to the books I had read previously, and that's why I like it. I definitely recommend reading it if you are looking for something different from the normal stories. Atena gave The Extraordinary Colours of Auden Dare 4 out of 5 and now plans to read Dragon's Green by Scarlett Thomas. It is a very good book with a good storyline and helps you realise what the true meaning of friendship and trust really means. A great mixture of comedy, reality and sadness. Elijah gave The Extraordinary Colours of Auden Dare 4 out of 5 and now plans to read I Have No Secrets by Penny Joelson. I love this book I love how the author brings to life Auden condition. I would really recommend it!! Bethany gave The Extraordinary Colours of Auden Dare 4 out of 5 and now plans to read Welcome to Nowhere by Elizabeth Laird. The extraordinary colours of Auden Dare, is an amazing book about knowing who to trust, being adventurous and continuing though things may be tough. It is both cleverly and wittingly written, portraying an unusual perspective on things, describing it perfectly. It has a wonderful storyline and plot, with a great twist at the end. The characters were amazing and shown clearly. Olivia gave The Extraordinary Colours of Auden Dare 4 out of 5 and now plans to read Welcome to Nowhere by Elizabeth Laird. this book was a brilliant book about a extraordinary friendship with a surprising twist. I loved this book because it was about a boy with a condition that restricted his sight but he didn't let that stop him! I loved the bittersweet ending. Qianye gave The Extraordinary Colours of Auden Dare 4 out of 5 and now plans to read Dragon's Green by Scarlett Thomas. Loved the stories...It is a really heart-breaking story. Nearly cried. Maria gave The Extraordinary Colours of Auden Dare 5 out of 5 and now plans to read I Have No Secrets by Penny Joelson. A very god book.Nearly cried.Enjoyes reading it and the message of the book. This book is amazing. The characters are clear and I could see them in my mind. My favourite character is Paragon because he is a robot but can feel emotions which is explained really well. I would hate not seeing colour, I think Auden was really courageous. Evan gave The Extraordinary Colours of Auden Dare 4 out of 5 and now plans to read Welcome to Nowhere by Elizabeth Laird. This book was amazing! It is very emotional and is definitely the type of book that you would like if you are into emotional, mystery and adventure books. I definitely recommend. Isabel gave The Extraordinary Colours of Auden Dare 5 out of 5 and now plans to read I Have No Secrets by Penny Joelson. I really liked this book because it was really gripping and you couldnâ€™t predict the ending. I would definitely rate this book 5 out of 5 and recommend it to people who like adventure, mystery and friendship. Annika gave The Extraordinary Colours of Auden Dare 5 out of 5 and now plans to read Girls Can't Hit by T S Easton. Samuel gave The Extraordinary Colours of Auden Dare 1 out of 5 and now plans to read I Have No Secrets by Penny Joelson. This was a brilliant book..Very emotional and heart rendering.It made my mum cry. Recommend it!!!! Anna gave The Extraordinary Colours of Auden Dare 5 out of 5 and now plans to read Dragon's Green by Scarlett Thomas. If you like books full of mystery, adventure and suspense you'll love this. I think this book would make a great movie! I am confident my students will love this book just as much as me. Miss Busby gave The Extraordinary Colours of Auden Dare 5 out of 5 and now plans to read Girls Can't Hit by T S Easton. This book is extremely interesting and draws the reader in to make them want to read more. The relation between the characters and the reader is portrayed perfectly as you always know how the characters feel. The book can also provide moral descisions for Auden as he has to decide on multiple occasions whether to tell his mother some things that he has found out. The ending of the book is also extremely interesting and the plot entirely is a mysterious plot. Ben gave The Extraordinary Colours of Auden Dare 5 out of 5 and now plans to read Welcome to Nowhere by Elizabeth Laird. At first a slow moving story, setting the destopian feel, but by the end you have a deep connection with all the characters and the ending could even be a little tear provoking!Paragon was my favourite character as he was the most human of all of them, even though he's, ultimately, not. He is not, as his name suggests, perfect, and they're are many things about him that neither he nor us as readers will ever know. But his character is still lovable and cheery even in the darkest times.The story keeps you guessing, as meaningless coincidence after meaningful coincidence keep you swerving in every direction. Though, admittedly, a slow starter, anyone could tell you that, if you put the work in, you will come out of the experience deeply touched and hounding for more! Poppy gave The Extraordinary Colours of Auden Dare 4 out of 5 and now plans to read Dragon's Green by Scarlett Thomas. The book had everything you need from a story. It had a great plot, a believable plot. The characters were brilliantly drawn and developed throughout the story although, I feel the character Boyle was forced because he seemed to only be put into the story to tell Auden about his Dad, as he doesnâ€™t seem to develop as much as anyone else. The friendship between Auden and Vivi is beautiful and the fact that the writer makes you believe that a robot can also develop in character and actually feel emotion is amazing. Hannah gave The Extraordinary Colours of Auden Dare 4 out of 5 and now plans to read I Have No Secrets by Penny Joelson. Deia gave The Extraordinary Colours of Auden Dare 4 out of 5 and now plans to read Welcome to Nowhere by Elizabeth Laird.